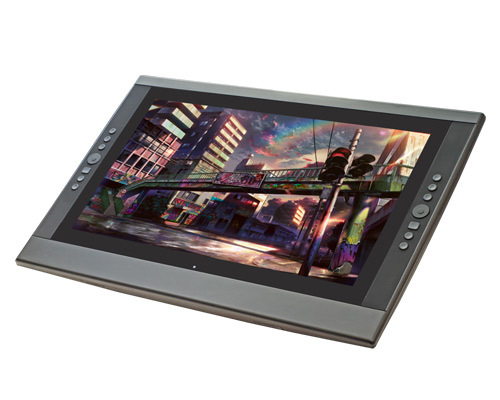 Cintiq alternatives have come a long way over the last few years. This year I’ve been trying to review some of them and there are some really good ones out there. 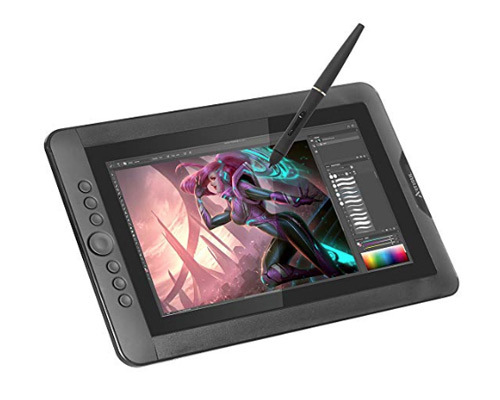 The 13 and 16 inch Cintiq’s are the top of the line graphic tablets out there right now. What makes them special are the screens, especially on the 16 inch. 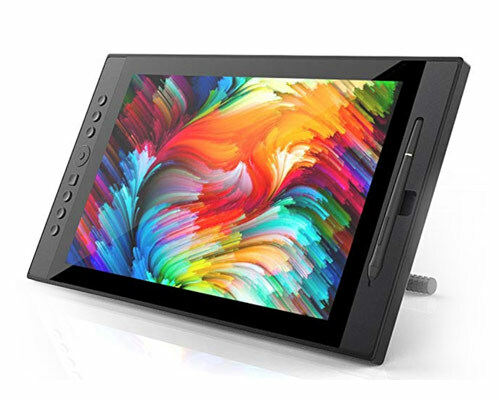 They have reduced the space between the glass and the screen reducing parallax and making drawing much more accurate in the process. 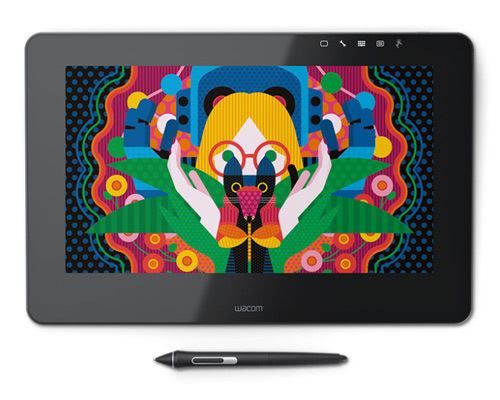 That and the general quality of the pen are what separates Wacom from all the imitators. 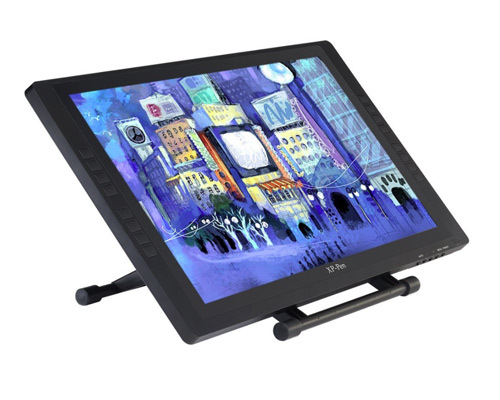 These are Wacom's top of the line displays. They have the price tag to prove it. I reviewed the 24 and absolutely loved it the only real downside was that the touch was a little flaky and I ended up turning it off. Really good price and really great pen. The only real drawback for me is I prefer a less glossy screen but the pen feels so good it trumps everything else. 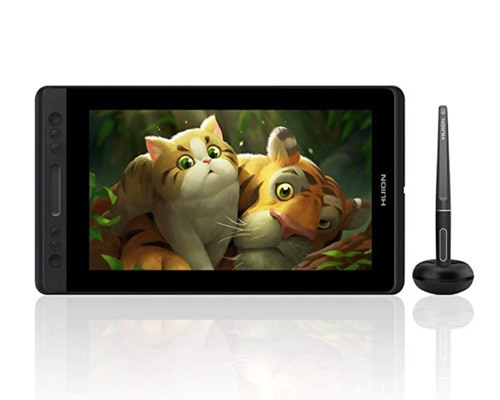 A great laminated screen at a great price and the pen has tilt support. Huion recently fixed the wavy lines I talk about in my review and it's much much better now. The only catch is that you can only update the firmware on Windows so if you're a Mac user I would still recommend looking at the other options. 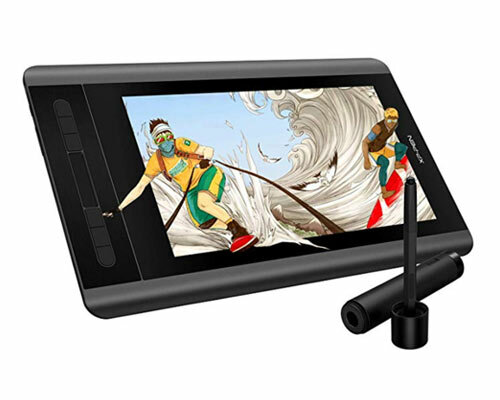 Like the larger 13 this has a great laminated screen at a great price and the pen has tilt support. Huion recently fixed the wavy lines I talk about in my review and it's much much better now. The only catch is that you can only update the firmware on Windows so if you're a Mac user I would still recommend looking at the other options. I reviewed this tablet well over a year ago but it still really stands up. 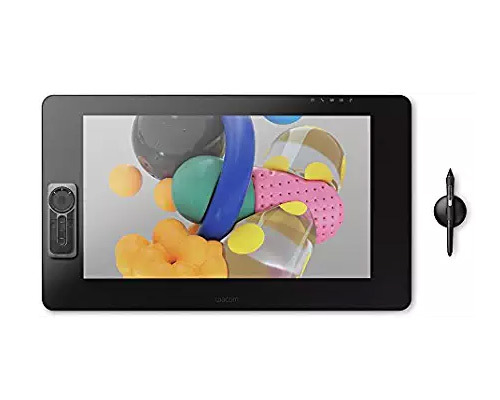 The initial activation force was better than some of the other tablets on this list and overall one of the better built alternatives out there. I was pleasantly surprised by the Coast 13. It's one of the better 13" pen displays out there. It does everything really well. 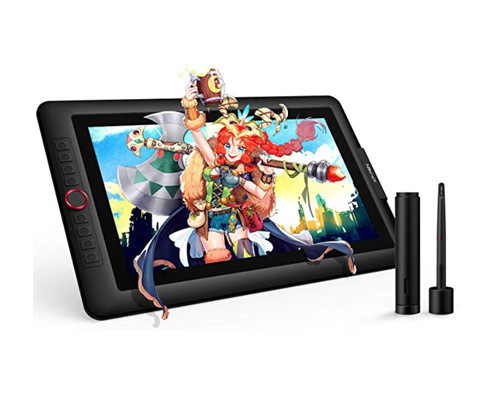 A really well rounded drawing device. Usually I love what XP-Pen is doing but this was a rare miss for them. I had problems with the pen. Even after receiving a replacement device to review I fount the pen pressure to be to inconsistent and mixed with some line wobble it did some pretty inconsistent things. If you're looking for something by XP-Pen check out the 15.6, a little bigger but about the same price. 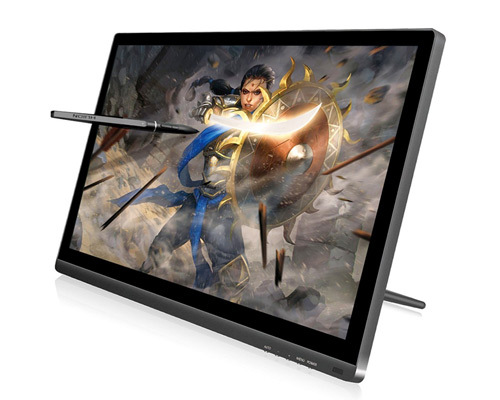 The pen is really really good and it has a laminated display (no or at least very little parallax) and the price is really low. 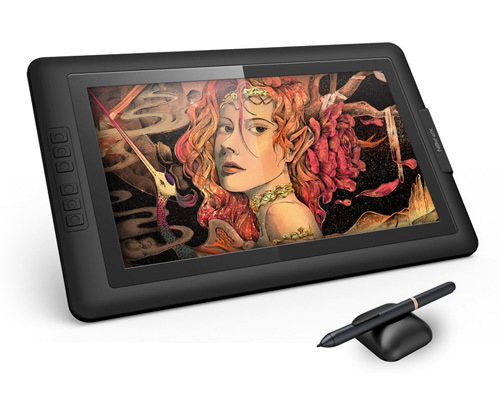 The drawing experience is almost as good as the Wacom 16 plus it has shortcut keys along the side. 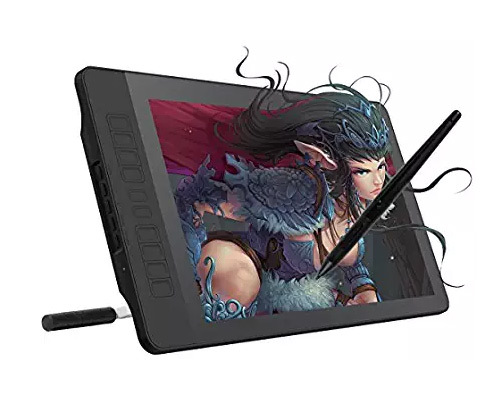 What's this doing on a Cintiq alternative list? 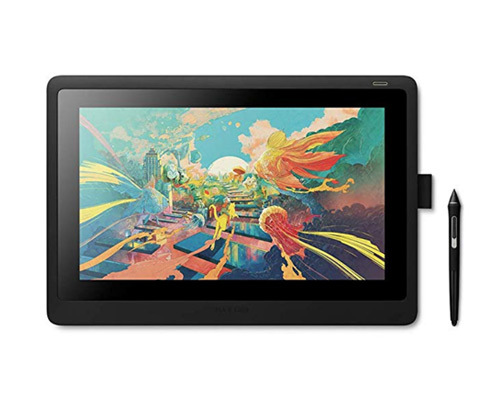 It is a Cintiq!?! It deserves to be here because of it's low price point. If what you need is the best best pen with no compromises this is it. The downsides are that this does not have a laminated display so you have some parallax and there are also no shortcut keys on the device. I love how it feels to draw on this the lines were really smooth and it just felt really natural. I also was impressed with the little details in the build quality it feels really solid and the button layout and slider along the side are great. The one thing holding this back from being alone at number one is the scree. 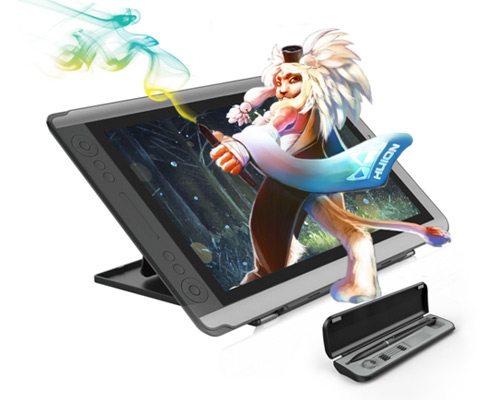 The XP-Pen and Artisul screens look better and have better color. This is neck and neck with the XP-Pen Artist 16 (see below). The reason this edges it out is that the colors are better out of the ox and the pen is smoother on angled lines. It’s also about $70 less. It really exceeded my expectations. There arn’t many downsides. I did have to fiddle with the drivers a bit to get it all working well but that may have just been me. Also the build quality doesn’t feel as firm. The screen protector feels cheap and the buttons wiggle. This is a pretty good first entry. The pen lines have a little jitter to them but the colors are really good and is generally a nice pen display at a good price. I liked the Artisul D16 better, but this is significantly cheaper. The pen has a little wobble and the screen seems to scratch easily but the 15.6 is all around a really good drawing experience. This new version of this display has fixed many of the problems that last year's model had. The initial activation rate has improved. The pressure curve has improved. It now has the matte screen pre-applied. I had a hard time getting it applied last year. The only downside is that fast strokes now have some fishhooking going on. 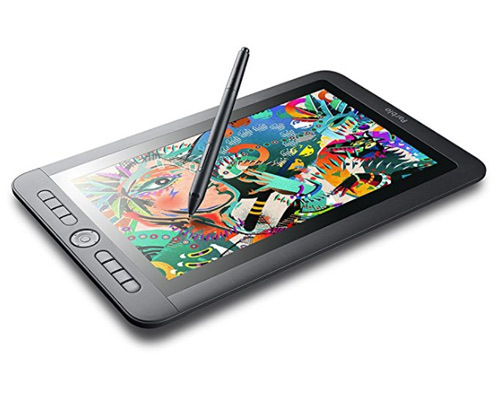 Overall I really like the changes XP-Pen has made and they have even reduced the price. More expensive than the others but I really like it. 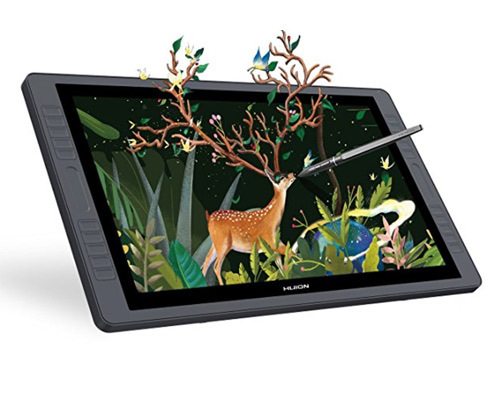 The main difference here between this and the XP-Pen above it is that the pen is not battery powered and so the lines are slightly better, but just slightly. The big difference is that I don't get fishhooks at the end of my lines like I do on the XP-Pen. In my review I do talk about the drivers which I have had a problem with on the Mac. Really nice screen. There are some minor drawbacks to this tablet, but they are all minor. It cuts the price by not having shortcut buttons on the tablet’s face like some of the others on this list. 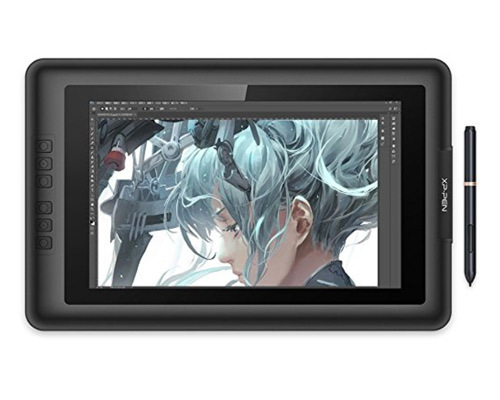 For some folks that’s no problem, it doesn’t fit well into my workflow because of that but if you don’t need the shortcut buttons it’s a good way to save some money and get a good tablet. Good on Windows, not so much on the Mac, as much as I love the stand and how it sit on my desk the line quality just wasn't good enough on the Mac, if you're using Windows this might be worth checking out.